The 2015 Cabernet Sauvignon (Napa Valley) is a fabulous entry-level wine from Mondavi, not to mention one of the very best values readers will find in Napa Valley. Rich, succulent and inviting, the Napa Valley Cabernet captures the best qualities of the year in a forward, voluptuous style that make it impossible to resist young. 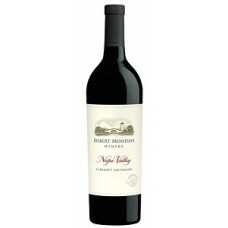 Succulent dark cherry, plum, new leather and dark spice notes wrap around the juicy finish. This is an unreal level of quality for a wine at this price point and a production of around 100,000 cases.